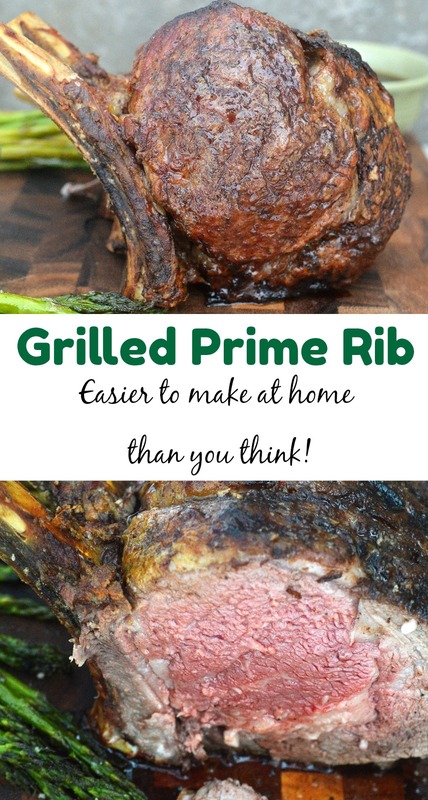 Making a perfect prime rib at home is easier than you think, grilling it gives it even more flavor. Hold on to your hats because today we are about to talk about How to Grill the BEST Prime Rib! A good Prime Rib is one of those culinary delights that you just can’t tire of. For many, the idea of making it at home may seem challenging, however, it’s easy. All you need are time, a quality piece of meat, some simple seasoning and a hot grill! Sure you can cook your Prime Rib in the oven…HOWEVER, if you want something special, you are going to want to use your grill! As an added benefit, your oven is freed up for side dishes, baked goods, rolls or whatever else you may need it for. Today we teamed up with New York Prime Beef to bring you this stunner! 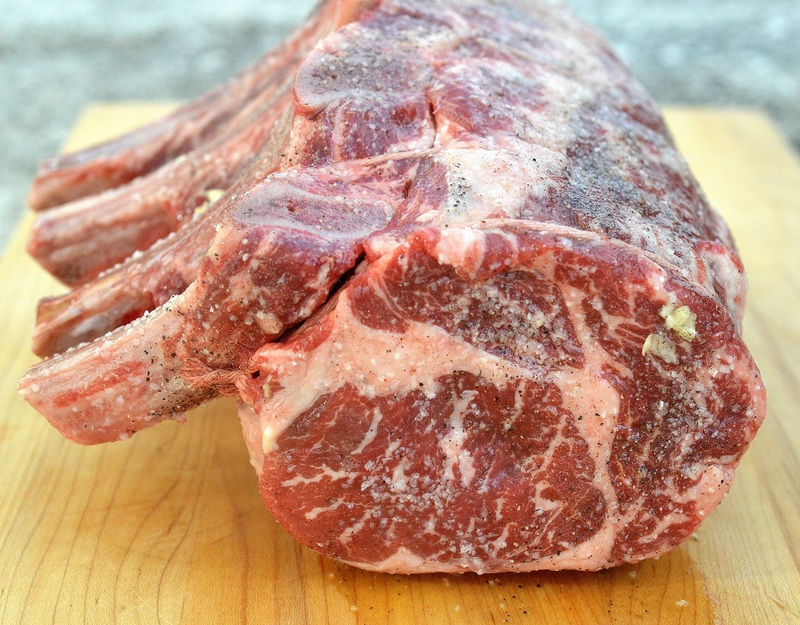 A 28-Day Dry Aged 4-Bone Prime Rib Roast. This beef was spectacular! A quality piece of meat, just like a quality grill, make all the difference! Just look at that beautiful marbling, mmmm! New York Prime Beef sells quality beef that rivals any steakhouse experience. They offer a wide array of steaks dry aged to perfection, then carved by an expert butcher to provide you, your family and guests with the best steak they’ve ever had! New York Prime Beef’s tagline says it all…The Best Steak On The Planet! One of the keys to cooking a piece of meat like this perfectly is to allow the meat to sit and come to room temperature. No matter how skilled a cook someone might be, if cook a piece of meat straight from the fridge, it doesn’t stand a chance of cooking evenly. When you start with a quality piece of meat like this one, you really don’t have to do much to it. Today, I used some homemade garlic oil and some salt and pepper. Maldon salt is nice to use but Kosher works fine as well. After that, it’s simply about allowing your grill to do the job. Using a digital thermometer is key to achieving the level of doneness you desire. Saber has a very easy to use digital thermometer, which I used when cooking this. After that, decide if you wish to serve an au jus with the meat and or a horseradish cream sauce. I made both, however, I didn’t use either personally since the meat was just so incredibly delicious on its own. I served this with roasted asparagus, roasted carrots and brown butter mashed potatoes. 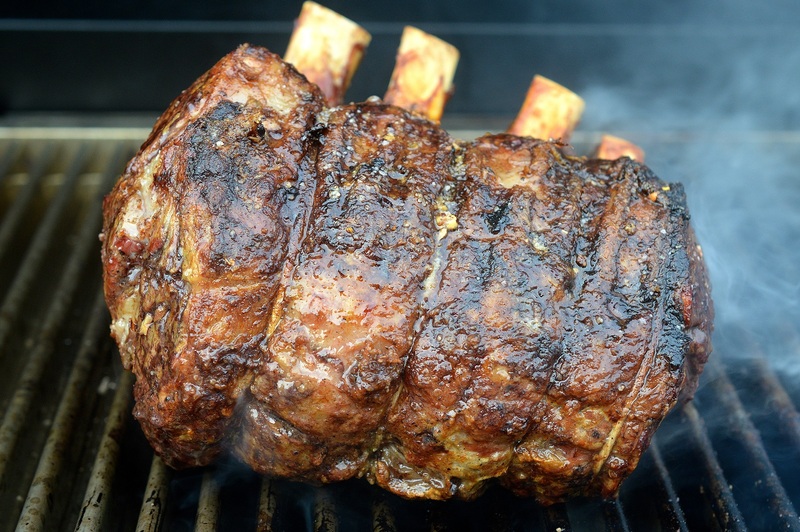 I hope you enjoy this recipe for How To Grill The BEST Prime Rib. Tips: You always want to tie up your meat when cooking a piece of meat like this, it helps keep the meat uniform. Our friend’s at New York Prime Beef take care of that for you, nice! Always allow your meat to rest prior to carving it. That way the juices are able to be retained in the meat. Don’t be afraid to season liberally. This meat cooks for a good bit of time, you want a nice flavorful crust to form. Indirect heat is the key. Cooking your meet via indirect heat allows it to cook evenly. Another method is to use the rotisserie. 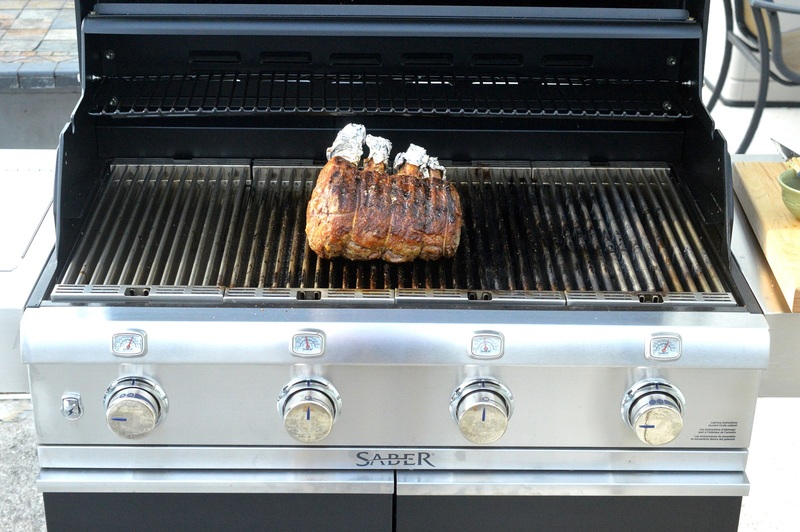 Take a look at SABER’s recipe for Garlic Rotisserie Prime Rib Roast. Mmmm! Temperature. It is not recommended to cook a prime rib to well done. Do the meat justice and cook to your preference below. SABER recommends a nice medium rare to medium prime rib. keep in mind that while the meat rests, the temperature will continue to rise.